The Beattie Passive Flying Factory is the perfect base to begin your volume building project. The offering enables the provision of an offsite base where high quality, Passivhaus homes can be manufactured without the high cost setup of a traditional offsite factory. 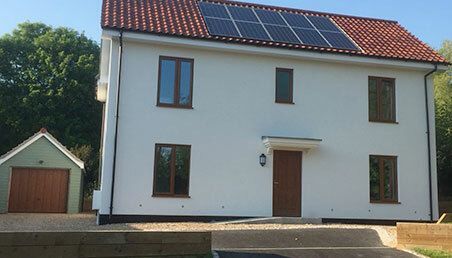 The Flying Factory offering is perfect for Housing Associations, Councils, CLTs and Developers wanting to offer Passivhaus standard homes to their residents. Beattie Passive will provide you and your in-house team with all the training and knowledge you need to begin working with your own Flying Factory. Supporting your local assembly and training / employment scheme. The training package consists of 6 weeks of hands-on training time. 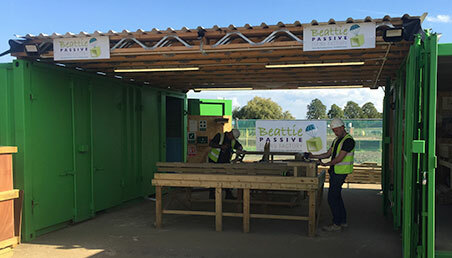 Your build team will spend the first two weeks with the Beattie Passive Training team at our main manufacturing base, to develop their skills and knowledge in all elements of the Beattie Passive system. 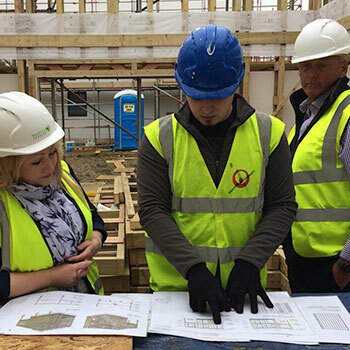 During those initial weeks your team will build a 120m2 Beattie Passive house, providing an in-depth understanding of all elements of the build. Following this, our Factory Expert will assist you on setting up your Beattie Passive Flying Factory. This can be in your existing facilities or in offsite portable units. The final three weeks of training take place on site and are aligned to the erection of your first Beattie Passive home. Our Trainer will advise your team as they erect the building, helping them through all the main stages of the Beattie Passive build. Our knowledgeable team of experts will continue to support you providing advice, training, guidance, innovations and process improvements – this will ensure that new improvements and innovation are passed onto your team to continuously improve the quality and performance of the system, improve efficiency of factory operations and share new innovations. Contact us to discuss your Flying Factory requirements.